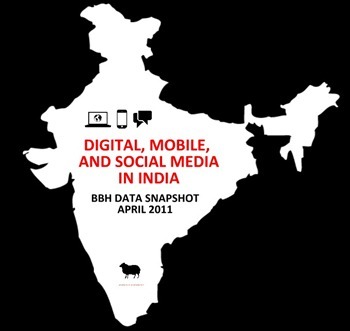 Interesting Digital, Mobile & Social Media Stats in India! I just came across an interesting presentation prepared by folks at Bartle Bogle Hegarty. Although, we have covered many of the stats given in the presentation individually (like monthly Indian Mobile Subscriber additions), this presentation makes an interesting reading as all the stats have been put together in a single nifty 59 slide presentation. Some of the numbers are already out-dated, specifically some of the mobile stats – like at end of March 2011 India had 811 Mn Mobile subscribers as opposed to 791 mn as mentioned – but that cannot be helped…thats how fast Indian Telecom scene is growing :). That sure puts these numbers in perspective…ain’t it ? Let us know how you liked the presentation! Unbelievable speeds at which Social Media spreads news!